Obituary for Rex D. "Lou" Manglos | C Richard McCauley Funeral Home Inc.
Rex D. "Lou" Manglos 67, of Youngwood, died Saturday November 17 at UPMC Shadyside in Pittsburgh. He was born December 23, 1950 in Mt Clemens MI. a son of the late Rex D. and Dorothy (Hian) Manglos Sr. He was a US Army Vietnam Veteran. He was the Commander of the VFW Post#211 Youngwood. 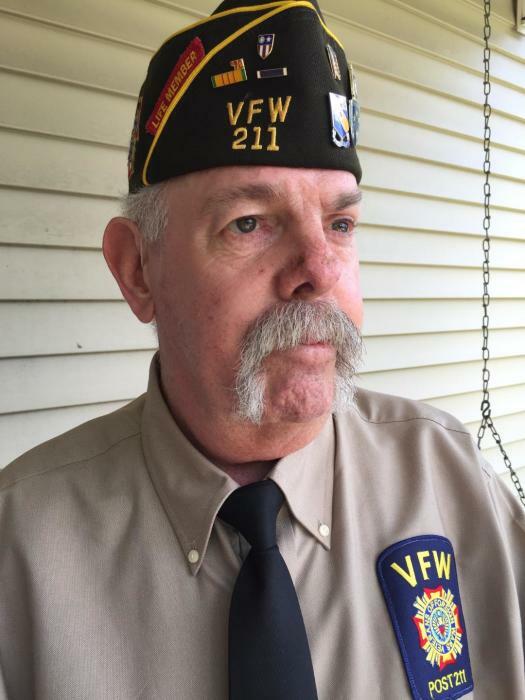 a cofounder and past president of the Vietnam Veterans of Westmoreland County. He was an avid race car fan. He's a retired veteran's counselor for the Governor's Veteran Outreach. Friends will be received at the C. Richard McCauley Funeral Home Inc, Youngwood, Friday November 23 from 1:00 to 7:00 pm. There will be a Funeral Service Friday November 23 at 7:00 pm with the Rev Bob Green officiating at the funeral home. Family suggest memorial contribution to Animal Friends of Westmoreland, 216 Depot St Youngwood, PA 15697.